How can I fix a corrupted file? If file open is failed, please try to find backup file in File Cache. Kindly notice that only 9.1.0 or later version supports File Cache. Follow the steps below for restore the files. 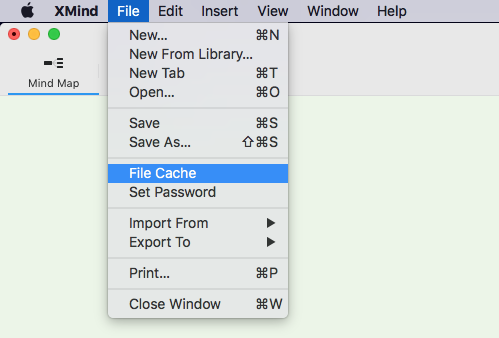 Find the file and click Retrieve. 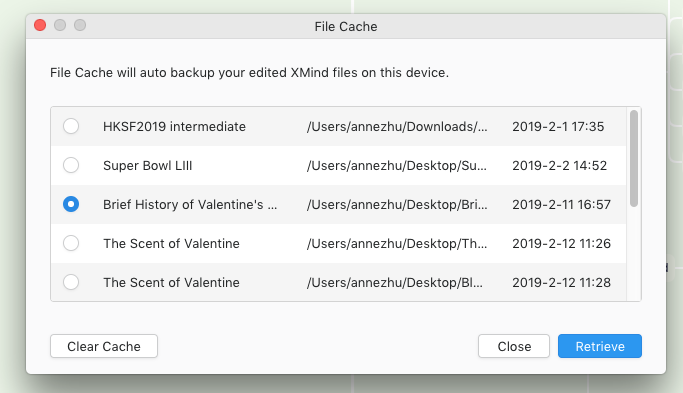 If the file restore failed, please send your corrupted XMind file to zen-support@xmind.net . We will try to fix your XMind file. Previous: How can I change the Language Setting? Next: How to reach us?